Well, depending on what kind of wedding that you have in mind, this next phase in your life could involve anywhere from 2 years to 24 hours. 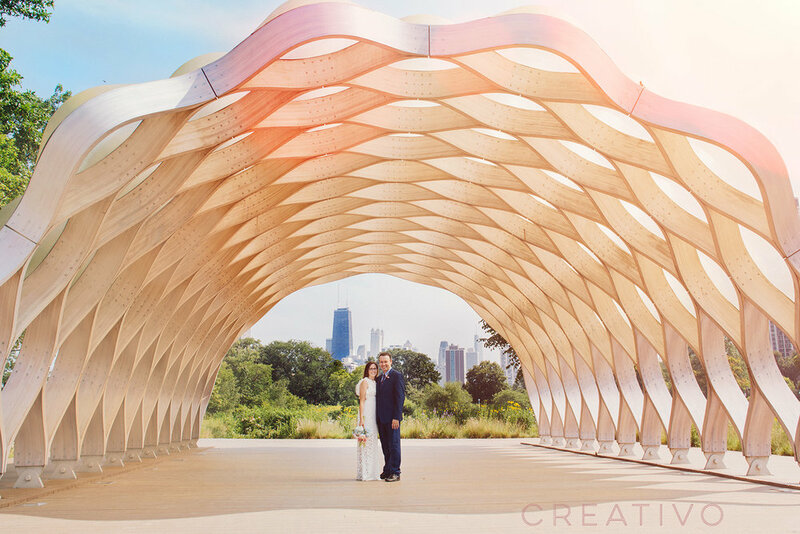 This article will not focus that much on the planning aspect of what happens next (although we have a few basic getting started tips), but rather the actual requirements and steps to legally get married in Chicago and Cook County, Illinois. Need Personalized Help? Click Here To Learn More. 1. Figuring out what kind of wedding you want (and can afford) involves a lot of factors that you and your sweetheart need to first discuss with each other. Your financial state and life priorities can vary greatly depending on what age you are when you decide to marry. A couple's shared goals at age 22 are usually very different than at age 28, 33, 40 or beyond. What ever your shared dreams are as a married couple, the wedding is only part of your future plans together, so your decision for those plans are a very personal choice. Once the two of you have a general idea in mind, then of course, the wedding day typically also involves family, so having a family discussion about planning, funding (will family be helping with costs, or will you be paying for the event on your own?) and establishing a budget outline are your first steps. 2. Plan the wedding or elopement (yes, even minor planning is needed for an elopement). There are tons of web sites, magazines, books and software to help with this. Or, you can hire an experienced and qualified event planner. In the Chicago area, we recommend starting by picking up a copy of Chicago Style Weddings magazine. It is organized like a planning guide and has a standard planning schedule of what tasks to check off your list each month. For this blog post, we're going to leave it at that. Now, to actually get married in Chicago, you will first need to get a marriage license from Cook County. It is relatively simple and quick to do, but it is best to first visit the county's web site and read through the information. Step 1: Prepare to get your marriage license. To get married in Illinois, couples must get their marriage license issued in the county where they are planning the marriage ceremony to take place. So, in Chicago, and closest suburbs, you need to get a marriage licensed issued by Cook County. Generally Illinois, and specifically Cook County, are not very strict with legal requirements, but there are some eligibility laws, required legal identification, and additional considerations if you are not a US citizen, and if you have been divorced. The license fee is $60. Step 2: Go to get your marriage license. You will need to apply for your marriage license together and in-person. You may do this at any of the six Cook County Clerk's vital records offices in the area. Five of the locations are in the suburbs: Skokie, Rolling Meadows, Maywood, Markham and Bridgeview. There is one location in the city of Chicago, at the Daley Center -- 50 W. Washington St., East Concourse, Lower Level 25. IMPORTANT!!! The marriage license is issued while you wait and is good for 60 days. There is a 1-day waiting period, so you have to get the license at least 1 day in advance of the wedding. 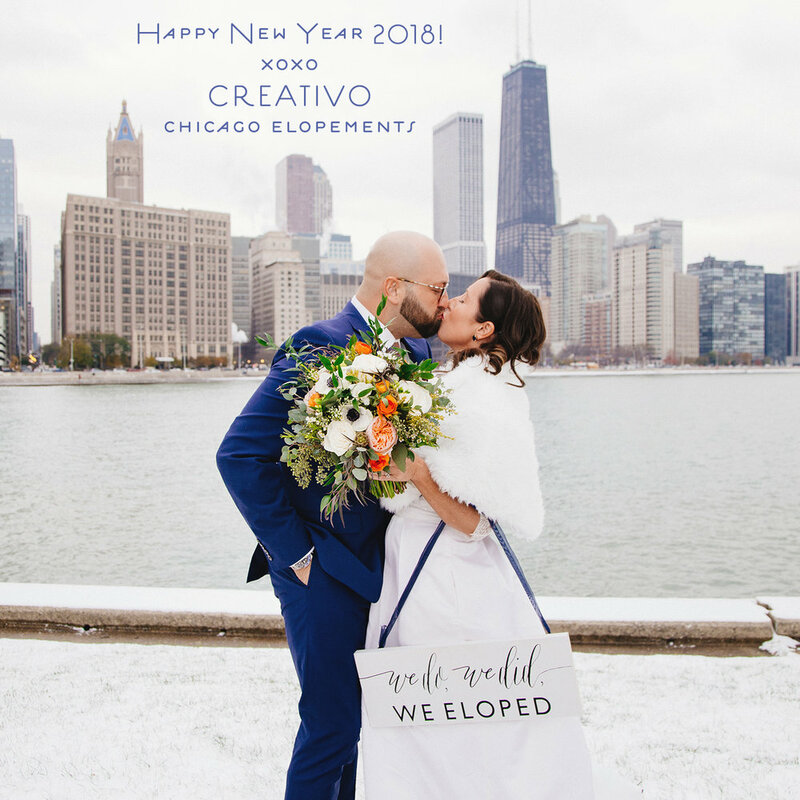 This is especially important information for couples who live outside of the county or state and are planning a to travel here for their wedding or elopement in Chicago or suburban Cook County. So, plan your travel accordingly, because the county offices are not open on weekends. Again, visit the county website or call find out the hours of the location that you are planning to go to. Step 3: Check that your issued marriage license has all of the correct information before you leave the clerk's office. Be sure that your current legal names are spelled correctly, and that your age and place of residence are also correct. If they are not, ask for a corrected license before you leave. Otherwise, if you don't notice anything is incorrect until after the wedding, it will be a bigger headache to fix later. Step 4: On the wedding day, remember to bring your marriage license and mailing envelope provided by the county. If you are having a big wedding day, it helps to delegate the best man, maid of honor, sibling or a parent to be in charge of bringing the license and giving it to your officiant. Tip - the night before your wedding put a note reminding yourself about the license on the door of your home or hotel room, so it is the last thing that you will see before you depart for your ceremony. In Cook County - Chicago and surrounding suburbs - no witnesses are required to attend the marriage nor sign the marriage license. Your ceremony officiant is the only person who signs the marriage license. Step 5: After your ceremony, your officiant will fill out the marriage license. You can make this a ceremonial moment with your photographer capturing the signing, or the officiant can just fill it out while you're getting hugs and kisses. The officiant is then responsible for delivering your completed marriage license to the county office. When you are issued the license, you also receive an envelope with the county office address already printed on the envelope. It is helpful for you to put a stamp on that envelope for your officiant or clergy to put in the mail. Step 6: Order an official copy of your marriage CERTIFICATE. Think of your marriage license like a drivers permit. After you get married, the officiant is confirming to the county that you did indeed pass your drivers test....errr....get married. The marriage certificate is the legal document proving you are married. Cook County does not automatically send you a copy of your official marriage certificate. You will need to order this after the wedding. There are several ways you may order your certificate, including online. (You should order at least 2-3 certified copies....see step 7). Please note that no one else may order this for you. Your officiant cannot obtain the marriage certificate for you, so they will not be sending you anything after the wedding. It is a government document just like your birth certificate, so only you may order copies of your marriage certificate for yourself. Tip - if you would like a special decorative marriage certificate to frame and display in your home, Cook County also offers decorative commemorative certificates, which you may order on their web site. Step 7: Changing your name. Not everyone does this, but if either spouse is changing their name after getting married, you will need several certified copies of your marriage certificate. We recommend getting at least 3 certified copies. Tip - not every entity that requires proof of marriage will need a CERTIFIED copy. It generally takes the Cook County about a week to process your license before it is possible to order certificates of marriage. During that wait, you can contact your work HR department, insurance, bank, etc. and ask them if they require a certified copy or a photo copy. If they are fine with a photo copy, that will be cheaper for you to make. If they require a certified copy, then you'll have a better idea of how many certified copies to order when they are ready at the county. The good news is, you do NOT have to go through the legal name change court process with a marriage name change (which is really good news, because to change your name in court costs nearly $400!). The bad news is...it is a hassle. Your name is legally changed by Social Security. After you receive your new Social Security card, then go to your local DMV to request a new driver's license, update your vehicle registration and title. There are many other legal documents or financial institutions where you'll also need to update you name, such as your passport, with your employer, bank, insurance, post office, credit card companies, etc. Some of these you can do over the phone, but in some cases be prepared to provide additional certified copies of your marriage certificate. Sounds like a big hassle, yes? Well, there are online name changing services that can make things easier....for a fee....such as MissNowMrs.com. Need More Help? Learn More About Having A Personal Consultation.